Such sweet card. Adorable image. Lovely colours. I love it !!! Thanks for joining us this week at C4E. Hi Laney this is so gorgeous!!! 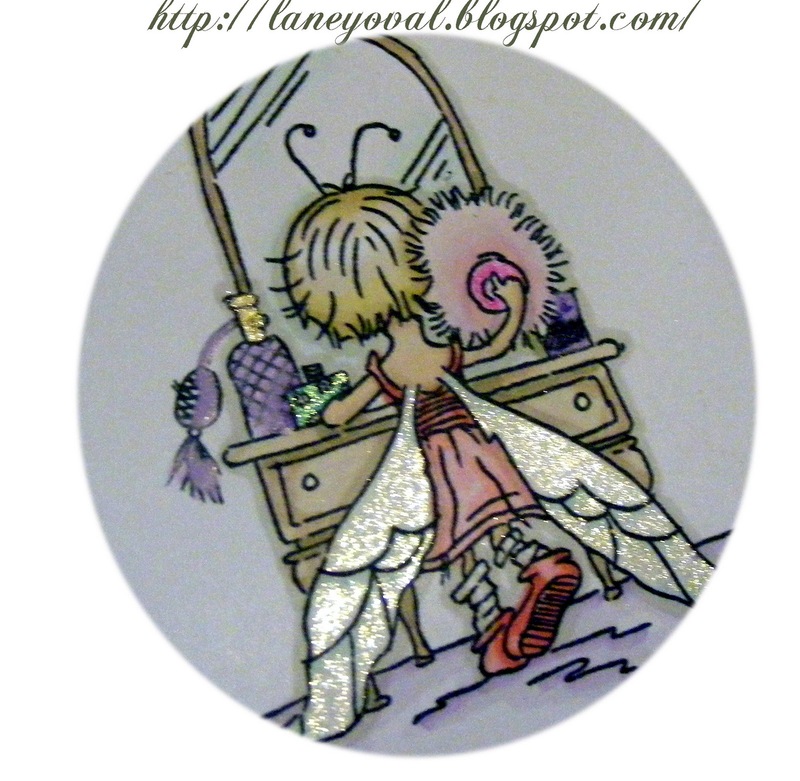 Beautiful card Laney, the image is adorable and I love her sparkly wings. Hi Laney, gorgeous card. Love the colours and the image is beautiful. Thank you for joining us at Sweet Stampin' this week. 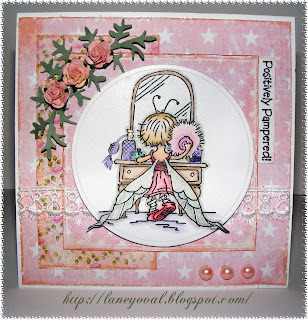 Sweet card ♥ Thank you for joining us at Bunny Zoe's crafts!! Awww this is so so so cute! I so so love it! The image is super cute and colours just perfect! This is so sweet! Thanks for joining us at C4E this week. I'm so envious you got hold of the new LOTV stamps already. This is gorgeous. Such a lovely image. Your card looks stunning & I love the glitter on those wings. Thanks for joining us at Passion For Promarkers. Just gorgeous Laney, you lucky crafters who could attend the Glasgow show were the first to get these adorable new images. This is one of the first cards I've seen using them and it's a cracker! Thanks for joining us in the Lili of the Valley challenge this week ...good luck!! This is beautiful Laney, the papers, colours, design and image look truly wonderful and loving those sparkly wings.